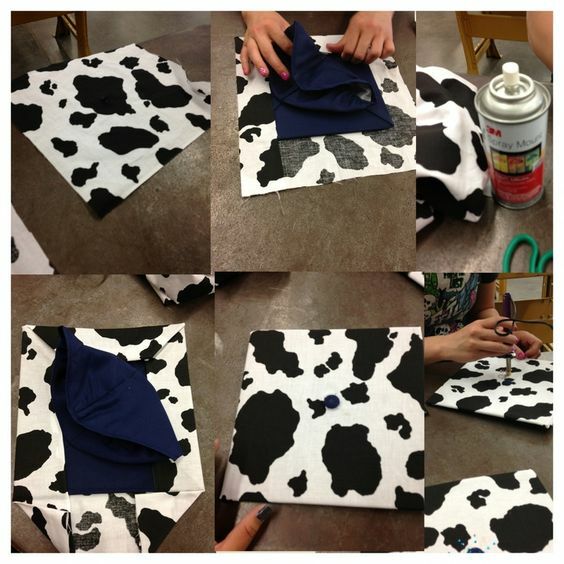 Animal-Themed Graduation Cap Decorations Part Two - More Custom Designs! 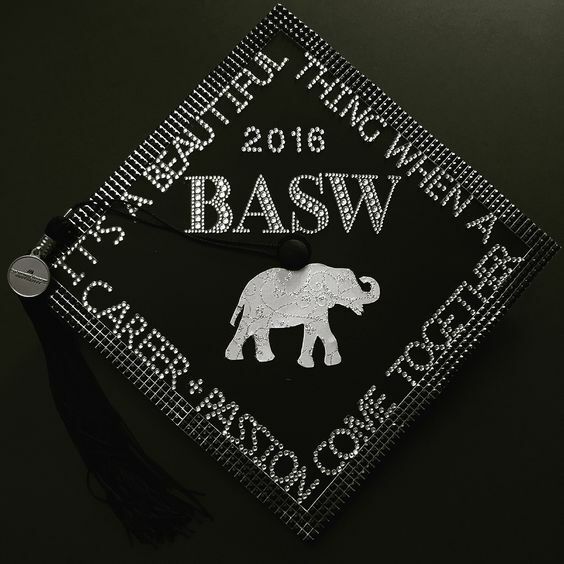 The animal-themed graduation cap designs part two are more decorations that are inspired by people like you who adore animals! Your best friend helped you make it through school, and kept you company on those long study nights. 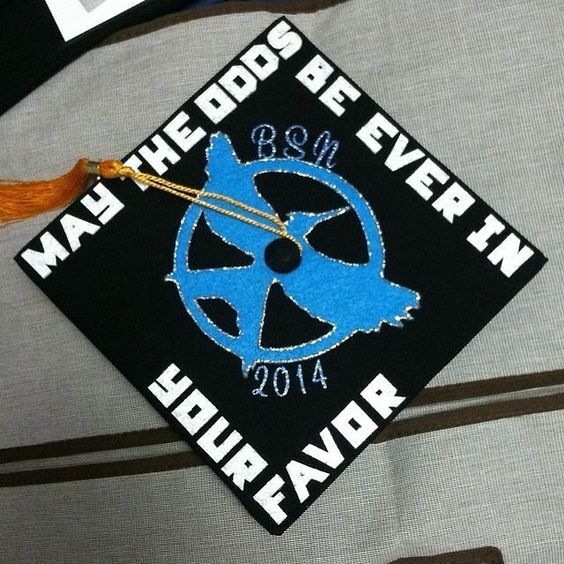 It only makes sense that you pay tribute to them on graduation day! 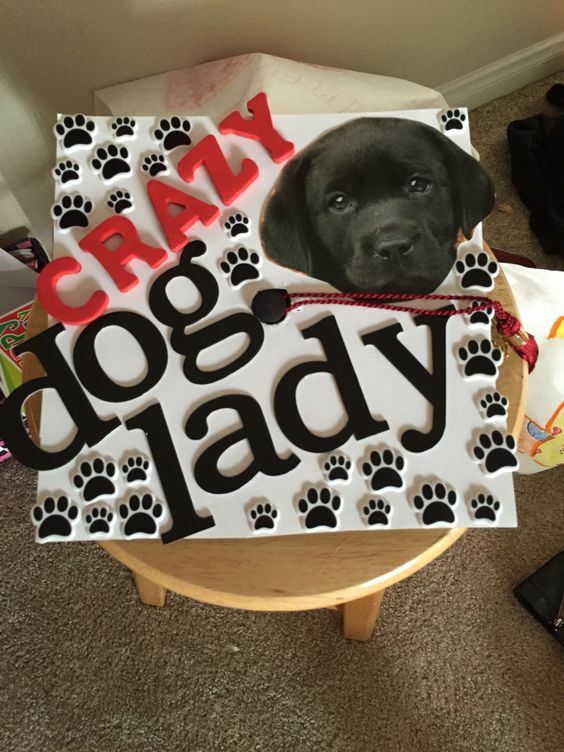 Animal-Themed Graduation Cap Decorations Part Two are listed below! 1: Who needs cats? Crazy dog lady doesn’t! Make sure your baby is nice and visible. 2: Now that looks like a paw print that belongs in the sidewalk in Hollywood! Very shiny and classy. 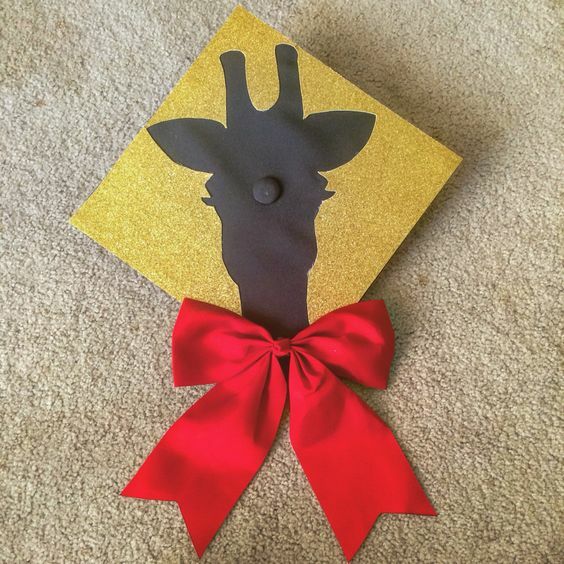 3: Is that a giraffe on your grad cap? Never mind, it looks gorgeous. 4: With such an eagle eye view, you really can’t go wrong! 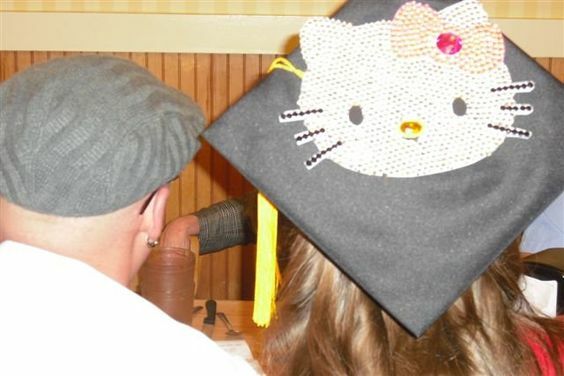 5: Hello, Kitty! My, you’re quite shiny now, aren’t you? The rhinestones pop, even without flash. 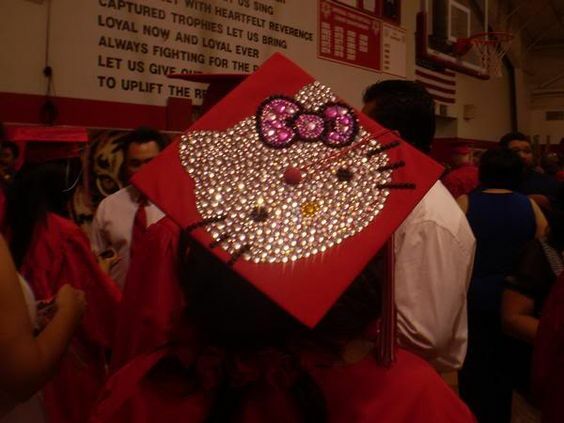 6: Another tribute to Hello Kitty, glamorous rhinestones seem to be a key ingredient. 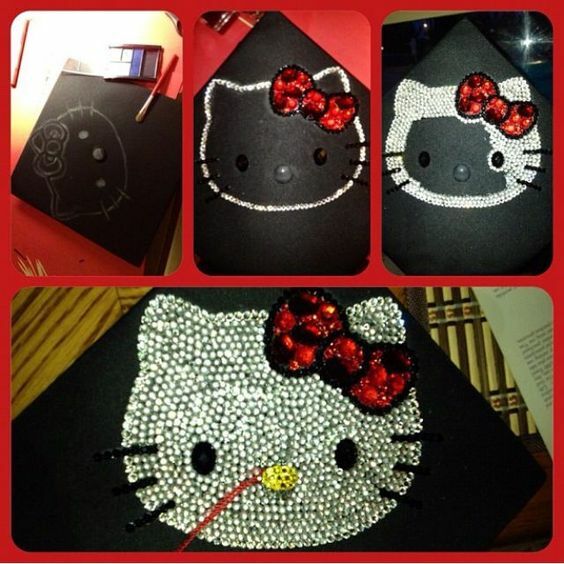 7: Some easy to follow steps – it doesn’t take much to make your graduation cap look phenomenal. 8: There’s no elephant in the room here, it’s on your head! 9: Holy cow! That’s a hot design. 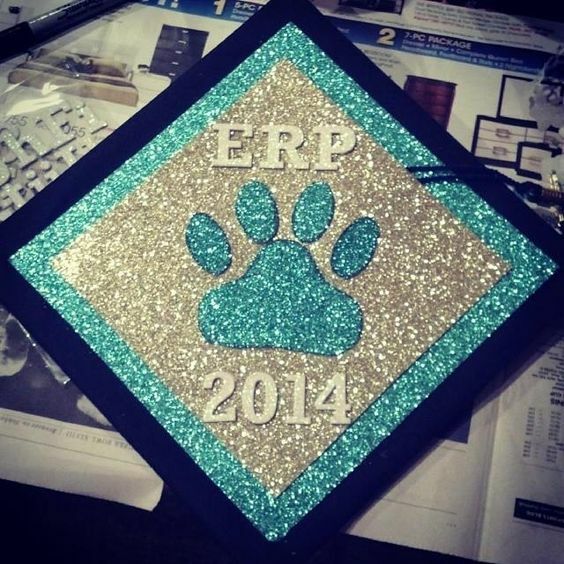 All it takes is a simple pattern to make your grad cap shine on graduation day! 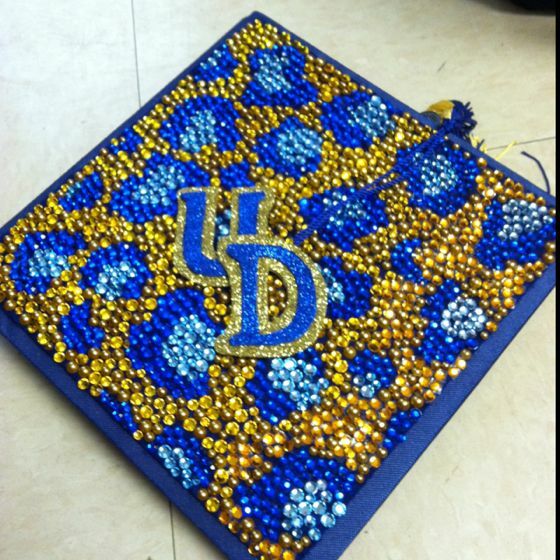 10: A shimmering leopard print seals the deal with this post, topped off with your college of choice!